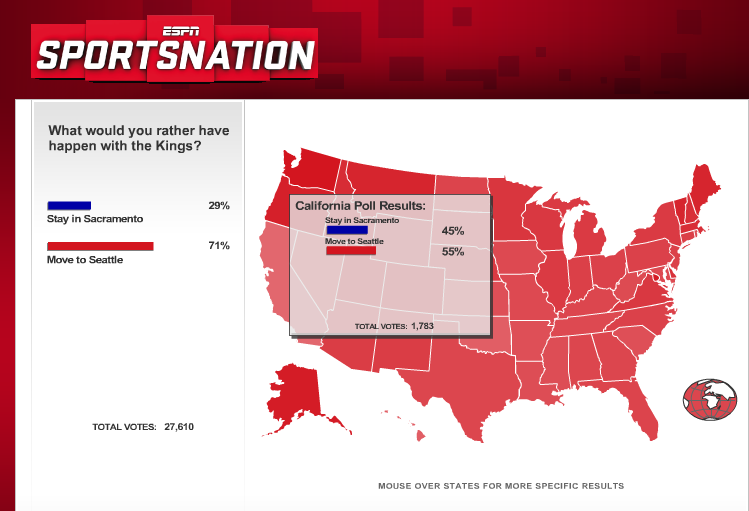 Sportsnation posted another poll about the Sacramento Kings drama, because apparently Tim Tebow wasn't available. Not exactly scientific, but I thought it was interesting that in California, 55% thought the Kings should move to Seattle, while 45% wanted them to stay in Sacramento. Of course, most of those votes probably came from Lakers fans.